Fountaine Pajot continues its dominance of the world’s cruising catamaran market with the announcement of the flagship model Ipanema 58. 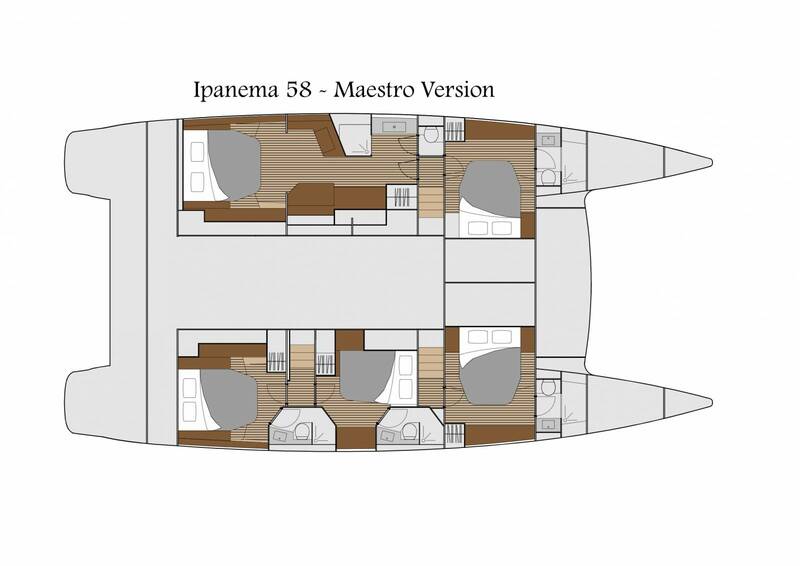 Replacing the successful Fountaine Pajot sailing catamaran Sanya 57 catamaran, the Ipanema 58 is a spectacular combination of construction innovation and design brilliance, offering an astonishing amount of interior and exterior living space to meet all demands. Inside, the Fountaine Pajot Ipanema 58 catamaran is luminous and airy courtesy of large windows throughout the saloon and cabins. The Ipanema 58 has been designed with capacious storage volumes for extended cruising and will deliver the outstanding offshore performance for which Fountaine Pajot’s range is renowned. The Ipanema 58 remarkable flybridge shatters the benchmarks set by the catamaran industry competitors and leaves them in its wake, with its design incorporating spacious and separate zones for relaxation and navigation. 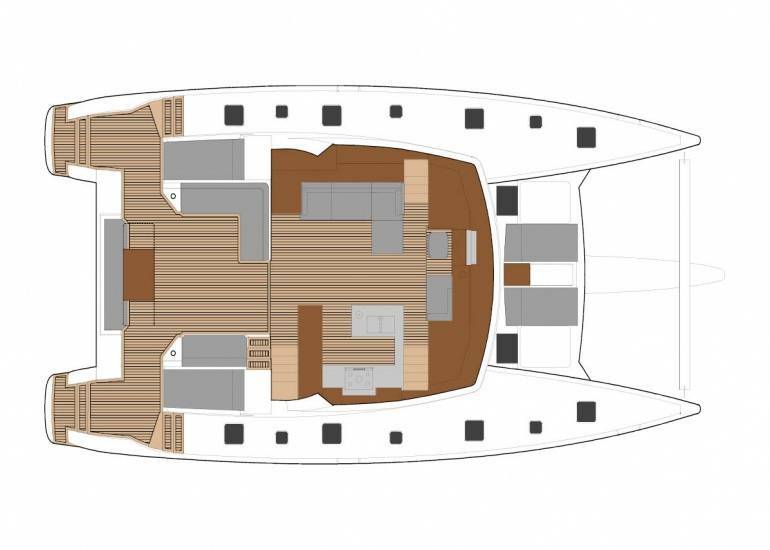 Conveniently designed stairwells on port and starboard give access to the flybridge which features a decadent sunbathing bed, a protected helm station, as well as lounges and tables for entertaining at sea. The foredeck is another enviable retreat with its dual relaxation stations that promise tranquillity and superb vistas, the added optional extra of a foredeck sun shade really does mean you can while away those hours. The Fountaine Pajot Ipanema 58’s expansive 25sqm cockpit seamlessly integrates indoor and outdoor living, and comprises an abundance of lounge seating, an expansive dining setting, plus a sheltered day-bed ideal for unwinding with a book or your favourite cocktail. while the Ipanema 58 Lounge version, available for the Maestro version, offers a more autonomous saloon and dining area with greater separation from the lowered galley, adjusting the accommodation layout below to four double cabins, including the Maestro Suite. Check the "Plan - Layout" tab for more details. 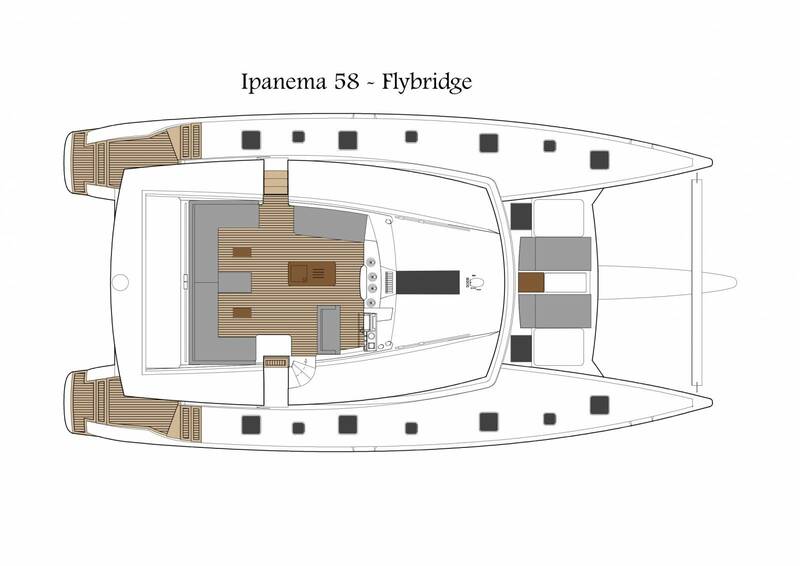 Clients choosing the Ipanema 58 in the Classic version can select from a five or six-cabin option according to their individual cruising requirements. 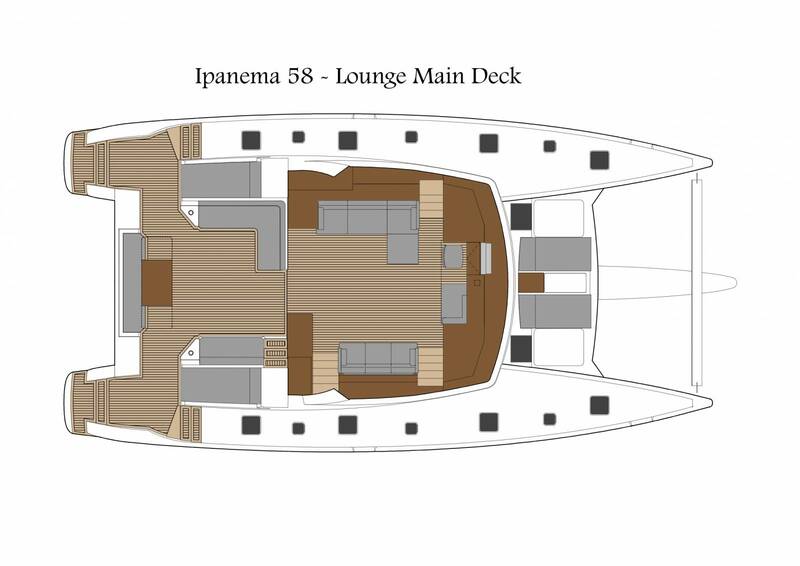 The Ipanema 58 five-cabin Maestro version comprises four beautiful double cabins plus an exceptional Owner’s suite that redefines the concept of contemporary luxury with its incredible space, light and fixtures. 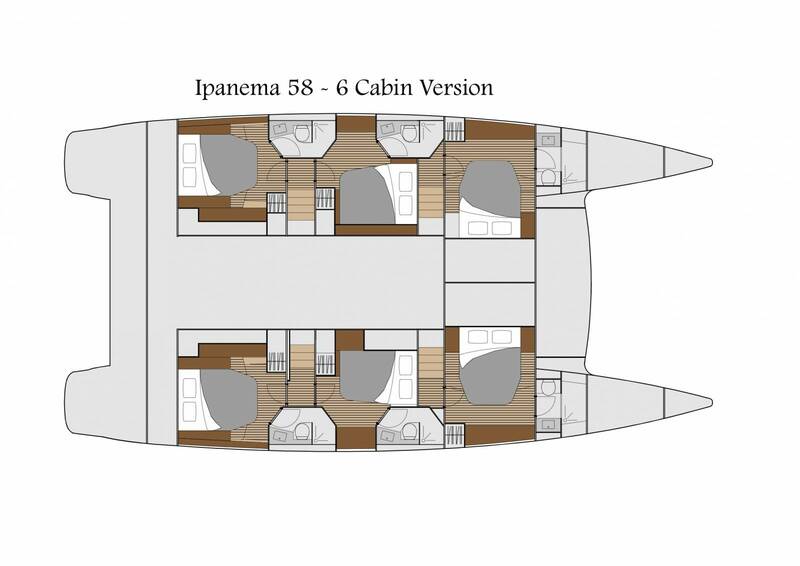 The Ipanema 58 six-cabin version features six identical cabins that are each superbly appointed and boast their own private ensuite, making it perfect for commercial use or larger cruising families. Contact us now to arrange a viewing and get more information on the Fountaine Pajot IPANEMA 58 prices, options available and more.